For what is life in its most essential form, life fulfilling the purpose which G-d created it to fulfill? Life, in the ultimate sense, is a soul in a physical body causing the stuff of this world to be revealed as G-dly. This is what we achieve every time we do a mitzvah, a good and G-dly deed. And when our positive actions are inspired by the life of one who has passed on to a more spiritual state of life, and are motivated by the desire and goal that they be in his or her merit–we give life and growth to a soul of the next world. Through our actions, the souls of those who passed on can attain something they could not achieve on their own. They can “live,” in the ultimate sense of what life is about–affecting this world, making G-dliness felt in this world. This is the main idea behind the recital of the Kaddish in merit of a departed soul. While Kaddish is commonly known as the “mourners prayer,” a reading of the text reveals that it is not about death or mourning, but the public proclamation of G-d’s greatness. By rising from the depths of anguish and loss to offer praise to G-d, we transform the event of death into an act of life. 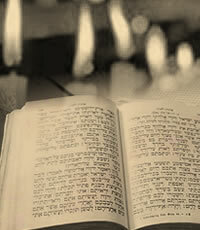 Even more important than the recitation of Kaddish is the Torah we study, the mitzvot that we accept upon ourselves, the charity that we give, the good that we do, with the intention that it be l’iluiy nishmat, for the sake of the “elevation of the soul.” If the desire to give to the one who has passed on is what impels us to learn something we would not have otherwise learned, to do a mitzvah we otherwise would not have done, to go higher and further than we would have otherwise gone, then this soul lives in us. Our hands and feet, mind and heart and mouth become the hands, feet, mind, heart and mouth of the departed soul. For more about Kaddish — including a practical guide to the Kaddish, please contact us or your local Rabbi.